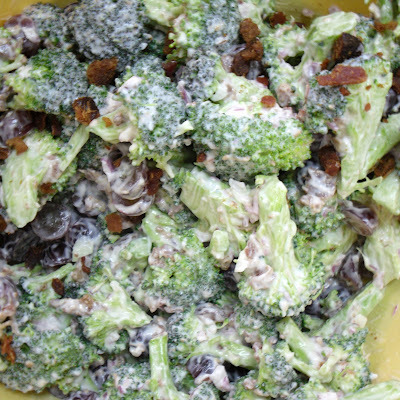 You won't have any problem eating your fruit & vegetables when it comes to this broccoli salad. The ingredients will cost you less than $11, and if you opt for pre-packaged real crumbled bacon, you won't have to cook a thing! 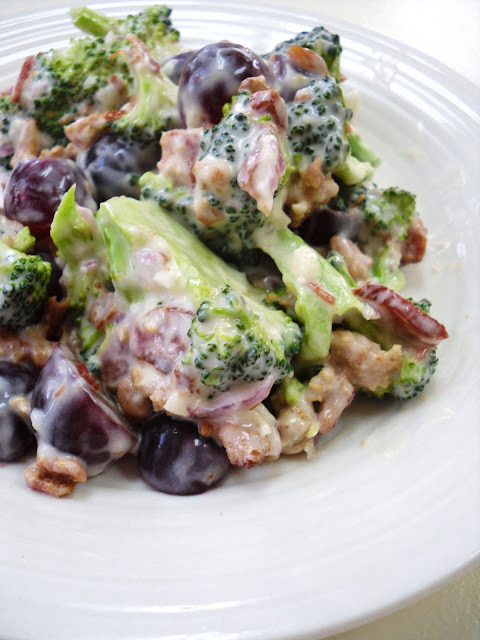 Plus, you'll have grapes left over to snack on for the next week. This recipe will make about 9 cups of broccoli salad, costing you barely over a dollar per serving. However, if you're my husband, this salad won't last more than 2 days in the house. So bring on the picnic, and prepare to love eating your broccoli. 1. 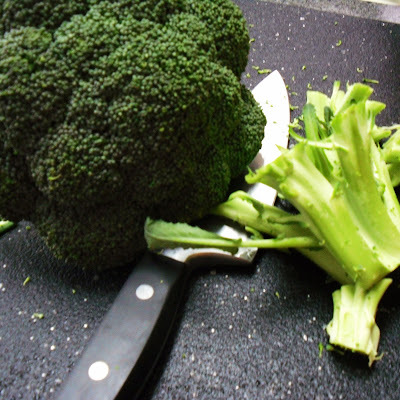 Cut up broccoli into small bite-size pieces. Place in large mixing bowl. Add halved red seedless grapes and bacon. 2. Combine mayonnaise, vinegar, sugar, and red onion in a medium bowl and mix well. 3. 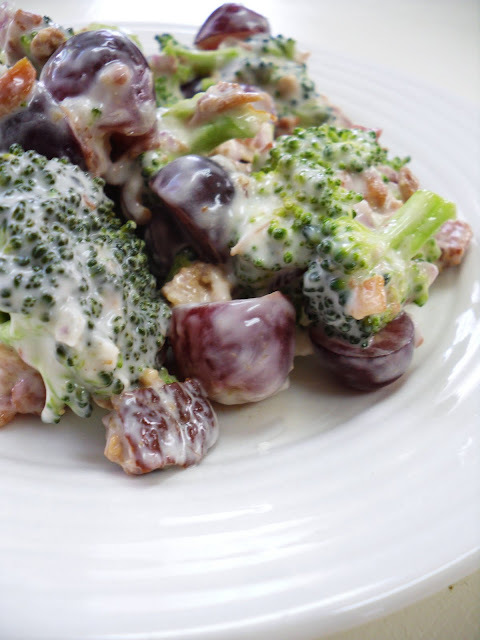 Add mayo mixture to broccoli mixture and stir to coat. 4. Refrigerate for several hours before serving. Note: I used pre-cooked, pre-crumbled packaged bacon from Hormel vs. cooking and crumbling my own bacon. The bacon stays a little crispier this way, not to mention saving you a step (and according to the Hormel package it's lower in fat as well). If you do opt for cooking and crumbling your own bacon, store separately and add to salad when ready to serve.